Boston Massacre planning is underway for everyone involved at every level, including me. I’ve made changes to what I plan to wear, in part because I have a newer gown that fits better and keeps me warmer, and because I have learned more, and looked at more, in the intervening time. 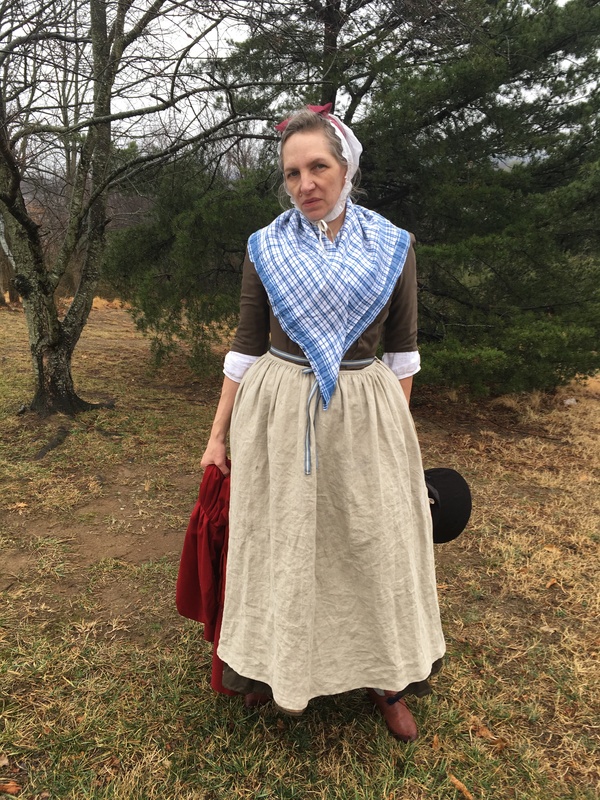 Since 2016, I’ve made/upgraded a quilted petticoat (in a bronze silk, a color documented to Rhode Island quilted ‘coats), settled in to wearing my cap tied under my chin, and made both a new apron and a new bonnet. 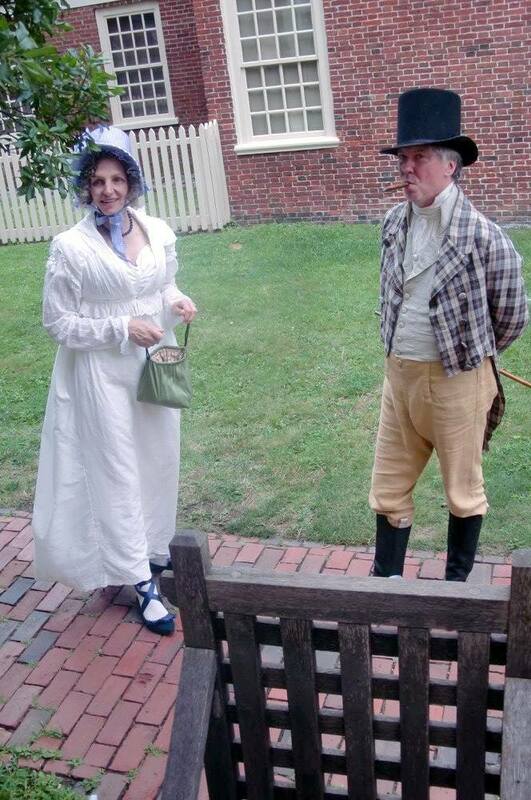 Cap and bonnet shape and shoes help make time period distinctions between 1777 and 1770; if I could find the wool I made the gown from, I would add the cuffs it desperately needs. The heeled shoes skew earlier than 1770, but they are the only heeled shoes I have….if the weather is wretched, I will wear the flats for safety and comfort. 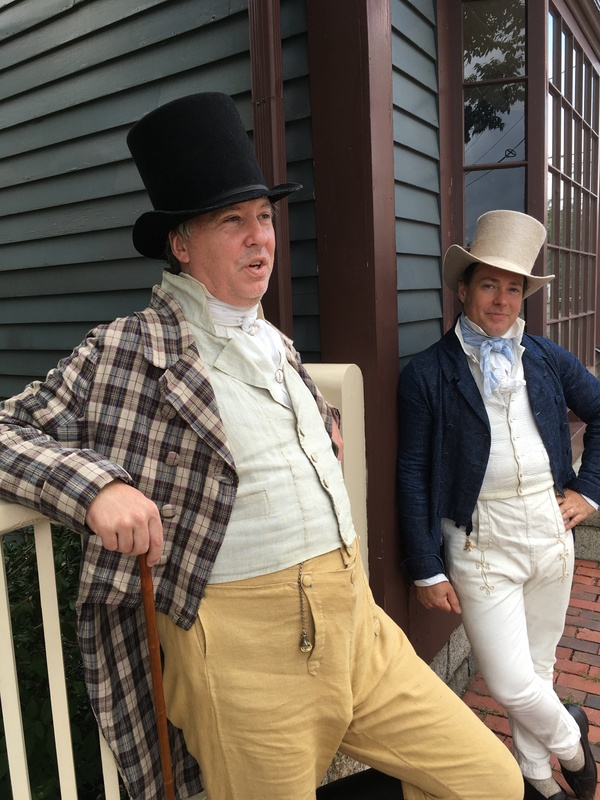 The bonnet, which I affectionately call “Lampshade,” is meant to have the shape of pre-1770 bonnets as seen in Sandby’s illustrations, and which I have been working on for a while. I know from reading the standards that the understanding of mitt material has evolved, and my time this morning looking for an elusive apron shape raises questions for me as well. Here’s Martha Collins, painted by Paul Sandby. What’s that black thing on her arm? A mitt? An arm warmer? Is it knit, or woven? There’s always more to figure out, and more to make. Cuffs on my gown don’t seem like a big enough deal to warrant buying wool for a whole new gown (with only six weeks to go), so my choices are live with no cuffs, alter the red gown of 2016’s event to fit properly, or initiate an extensive search for the scraps left over from the green gown…which may or may not be buried in storage. Tick tock.